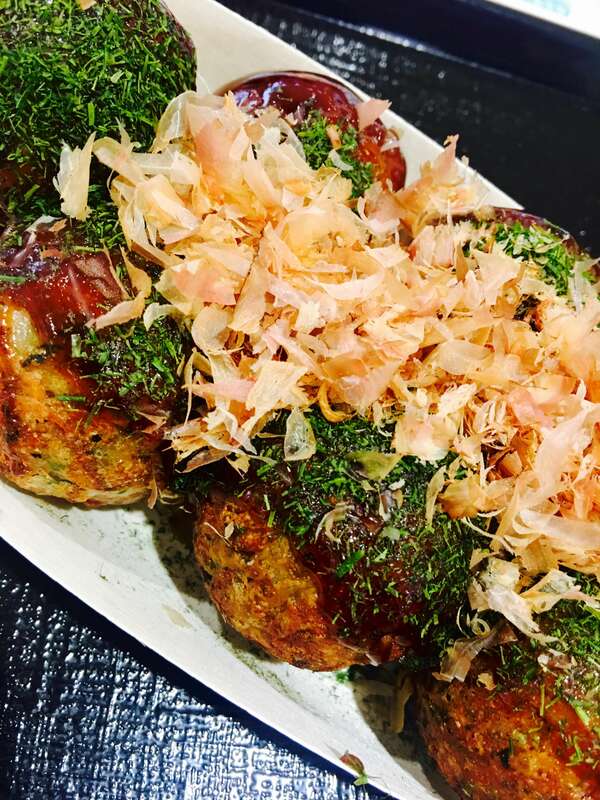 TAKOYAKI - OUTRAGEOUS OCTOPUS BALLS! Takoyaki, a round savory bite sized snack, filled with octopus, topped with a sweet sauce, and served pipping hot. Throughout Japan you’ll find many restaurants, bars, and street vendors specializing in these eggy delights. They are particularly popular with the locals at street markets, festivals, and events, due to there size, ease, and taste. They are cooked in a purposely built cooking grill, covered with little circular pockets. Then hand spun with metal skewers throughout the cooking process to give them the circular shape. They finish up a little crispy on the outside, and soft and juicy on the inside, then topped with goodness. Takoyaki was first created by a man named Tomekichi Endo in the Osaka area, in 1935. At this time, Japan was suffering from rice shortages, therefore many people were experimenting with alternative ingredients for meals. His restaurant ended up becoming hugely popular, and is still opened to this day. Then, as people moved out of the Osaka (Kansai) area for work, they would not only take their families, but also their food and culture with them. Therefore, the popularity of Takoyaki grew across Japan, from Hokkaido to Okinawa, and now, home Takoyaki grills can be found in kitchens all over. However, Osaka will always be the spiritual home. The octopus, is the city’s unofficial mascot, mounted high and proud thought-out the bight and colorful streets of the city area and its eateries. The Takoyaki always has the same basic ingredients. Flour, egg, octopus, spring onion, and pickled ginger. Although the sauce can vary from place to place. Traditionally they’re topped with a sweet thick brown sauce, but can also be served with ponzo (citrus soy sauce), or goma-dare (sesame-vinegar sauce). Finished off with aonori (seaweed flakes), and bonito (dried fish). Osaka is widely known in Japan to be the food capital of the the country. 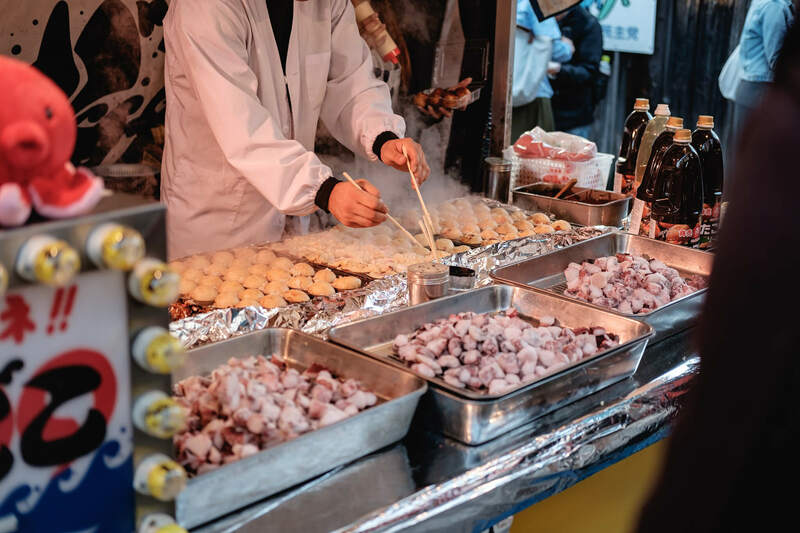 The city streets are overflowing with places that you can pick up some Takoyaki, along with many other delights. 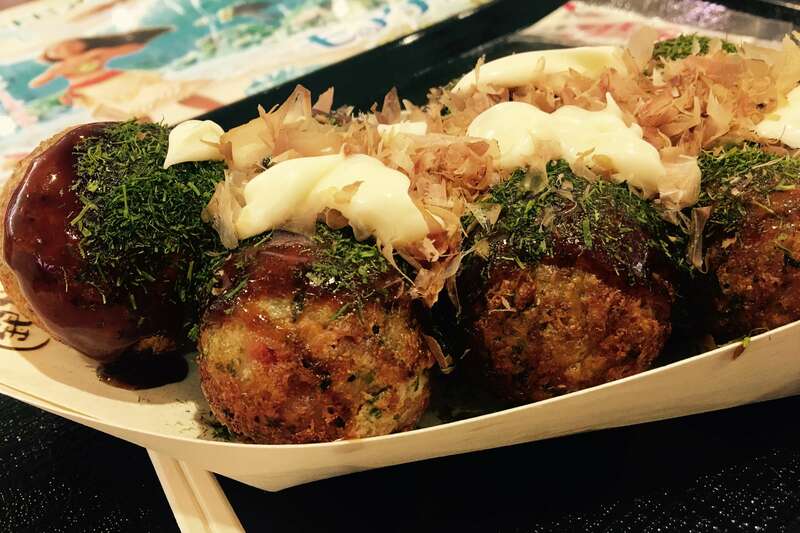 Takoyaki, is something that Osakan people are extremely proud of, and are happy to share their favorite spot with you. It is also a great dish to share between friends and family, as they usually come severed 6 to 10 balls in a set. This also gives you an opportunity to order from a few different places, and not just fill-up at one restaurant . They, much like a lot of Japanese food, go extremely well with beer, so why not try a local brew at the same time. When in Japan, Takoyaki is a must try, along with a long list of other local cuisines. And Arigato food tours knows some of the best spots in Tokyo and Osaka to give you a real sense of these cities and their culture. In my experience, it is always best to keep clear of the high streets, and wander into that that small little 7 seat eatery, which will help you really discover the city. However, when it comes to Takoyaki, as I mentioned above, be sure to take the first bite with caution, as when they are cooked fresh, they come served piping hot, and that’s where the beer can come in handy.